This is my fantastic Father Christmas who perches (albeit in a rather wonky, drunken fashion) on top of our tree. A couple of years ago I spent some time seeking out my perfect ‘tree topper’. My parents have a 1960’s ‘Beatnik’ Angel who I just adored (and still do actually), and really wanted a special character for our own tree too……. I think I found him! Apologies for this post in advance. I warn you it is going to very dis-jointed, a bit too long and probably not very articulate, but I just wanted to get something written pre-Christmas with a bit of an update. I’ve had trouble taking photographs lately as the light has just been so bad and the days so short that pics just aren’t turning out very well, so apologies also for the dodgy shots on here. It’s been a busy few weeks (hence lack of blogging) but all pre-Christmas goodies are now finished, packed and either posted off, or wrapped and ready for their recipients. Phew! 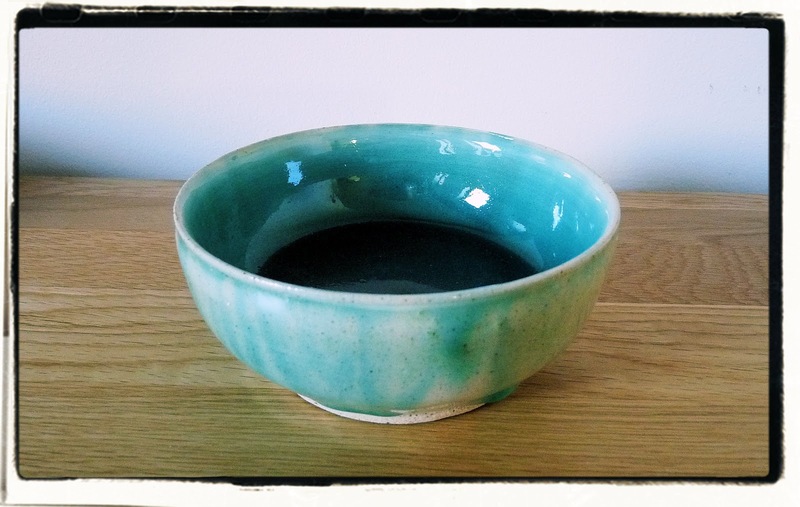 Back in the Autumn, I had planned to have a very hand-made Christmas and be very ‘Kirstie Allsopp’ about it all, however, everyday life has run away with me. I also had a little crisis of confidence wondering if anyone would actually appreciate (like/want) home-made items when what they honestly really want is a nice bottle of wine/new book/jumper/pair of socks!!! So, whilst I have created some gifts, I’ve not done as many as I had originally planned. I’ll share the pics in the new year. The Christmas decor in the house isn’t quite as ‘home-made’ as I would have liked either. 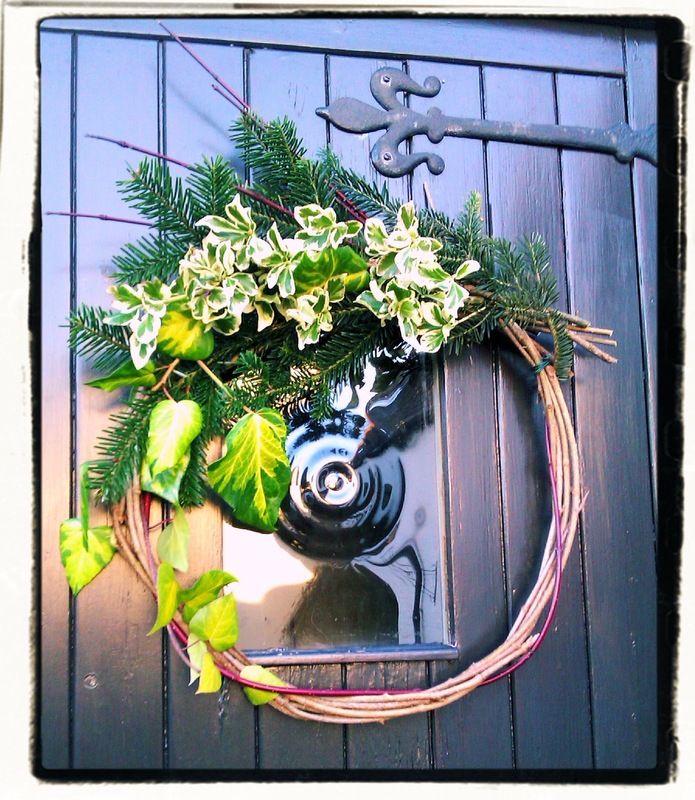 Feeling like I’ve kind of failed miserably on this front but did manage to make a wreath for the door (which J came home to see hung up and asked “Is it finished..what about the other side…? ?”) Yes, it is supposed to look like this. I was quite pleased with it, even if my husband is not convinced. Remains to been seen how long the foliage stays looking fresh though! Whilst I had also planned on making some extra Christmas decorations for the tree, I decided once I’d unpacked all the things from last year, I probably actually had enough and really didn’t have time to be making more anyway. We get our tree each year from a local farm, who, on the 2nd weekend of December, have mulled wine & mince pies on the go whilst you ‘shop’. This year was something of a disaster for J in that we arrived too early in the morning for the mince pies and mulled wine (still heating up! ), which made the very long process of me making him stand there holding out just about every tree to ‘check the shape’ even more of a bore. I wasn’t as pleased with our tree choice this year…it’s not quite the perfect shape but then I reconcile myself with the thought that it’s nice to give a home to a not-so-perfect tree & they all look splendid once decorated anyway! 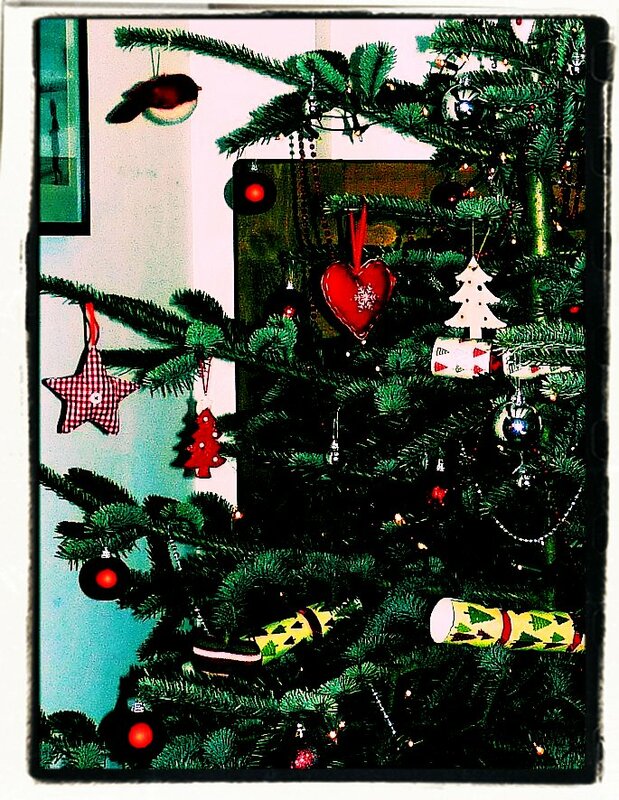 Onto the task of decorating the tree with a 5 year old boy…. Now, the control-freak in me has found this very very tricky in previous years, torn between dearly wanting to share this tradition with my son, and just wanting it to look how I want it to look. This year however, with a few ‘rules’ discussed initially about the placing of baubles, colour schemes and ‘overcrowding’, I do think we managed a harmonious afternoon and a pleasing result without me getting (too) ‘twitchy’! I know, I know, as a mother, you’re supposed to put this controlling behaviour to one side and let your children express their own creativitiy in these situations, but sorry, NO…not with the Christmas Tree…I just can’t relinquish complete control of that one!! This is where I should be inserting a great picture of said tree..but I think it’s very hard to capture the ‘twinkliness’ of a decorated tree in a photograph, hence the not-so-great snap here! 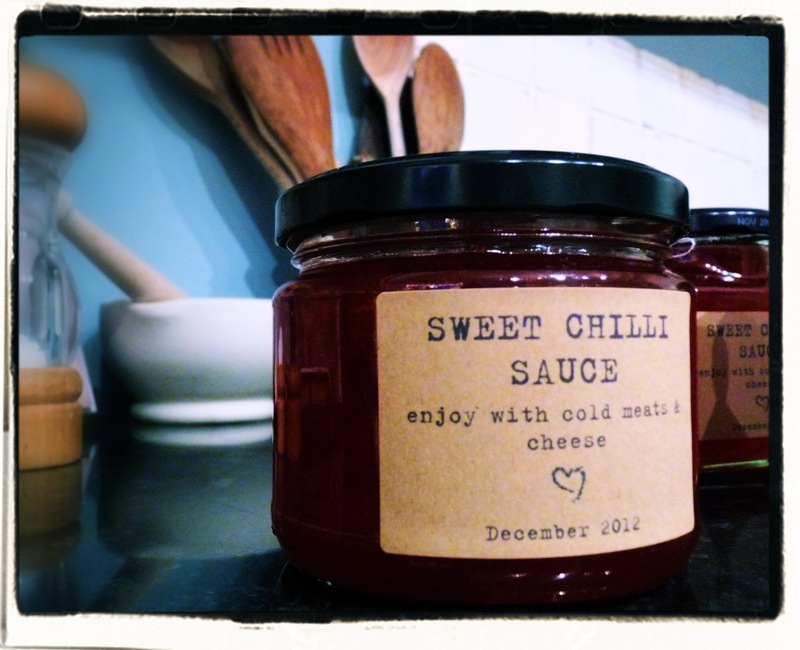 Over the past few years I have managed to get round to making some of Nigella Lawson’s ‘Chilli Jam’ (it it just yum with all those Christmas left-overs) ..and every year it turns out more like ‘Chilli Sauce’ (it never really sets properly…I should probably purchase a jam thermometer but I feel this is one step too far towards becoming a member of the WI and I’m certainly not ready for that!!). This year is no exception but at least this time round I have embraced my failure at making ‘jam’ and labelled all 6 jars as ‘sauce’ instead! Completely as an aside to all this handmade business, I just wanted to include this (told you this is all a bit dis-jointed!). Of all the (many) presents I have purchased over the past few weeks, this is, perhaps rather oddly, my favourite. They caught my eye in Waitrose whilst looking for something extra for Father Christmas to give to our daft dog, Daisy (he gets so busy at this time of year, you just sometimes have to help him out!). 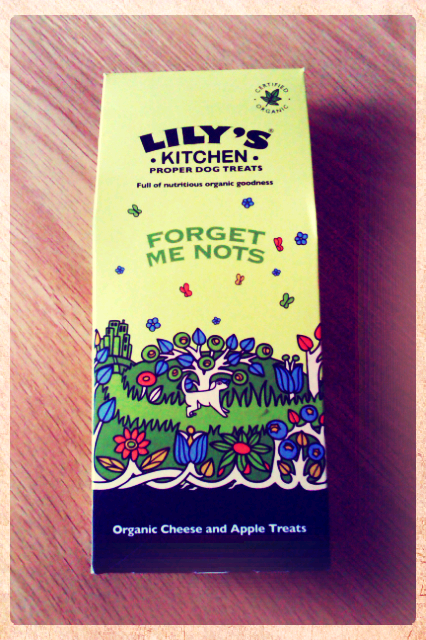 These are organic dog treats (yes, she is a very spoilt dog & no, she doesn’t deserve to be!! ), but I just loved the packaging illustration. The reason that they are called ‘Forget Me Nots’ is so we don’t forget all the unwanted dogs that are in shelters waiting for a new home…sweeeet….AND best of all, for every pack sold, they give a donation to Battersea Dogs Home. Ok, I’ve lost all the non-dog-lovers now, so I’ll get off this subject quick smart and move on….. Along with all my ‘sewing work’ finished for Christmas, college is also over until some point in mid-January. 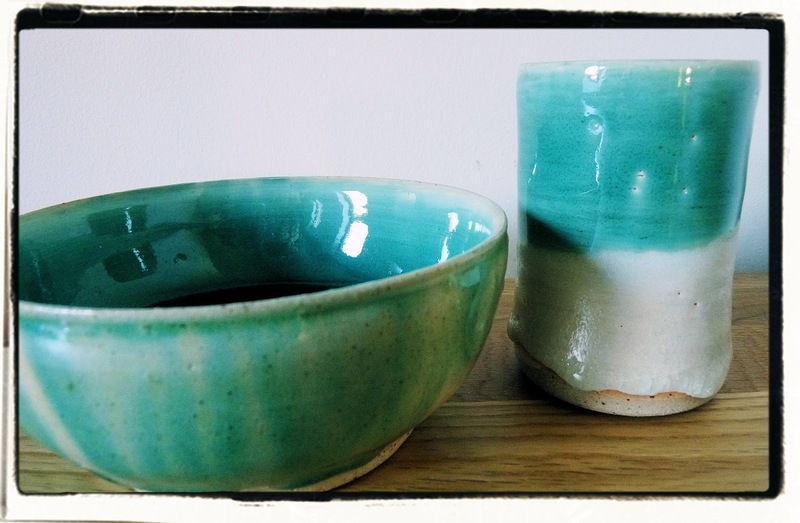 I managed to complete a number of projects over recent weeks and was able to help unload the still-warm ceramic loveliness of it all from the kiln on the last day of term. 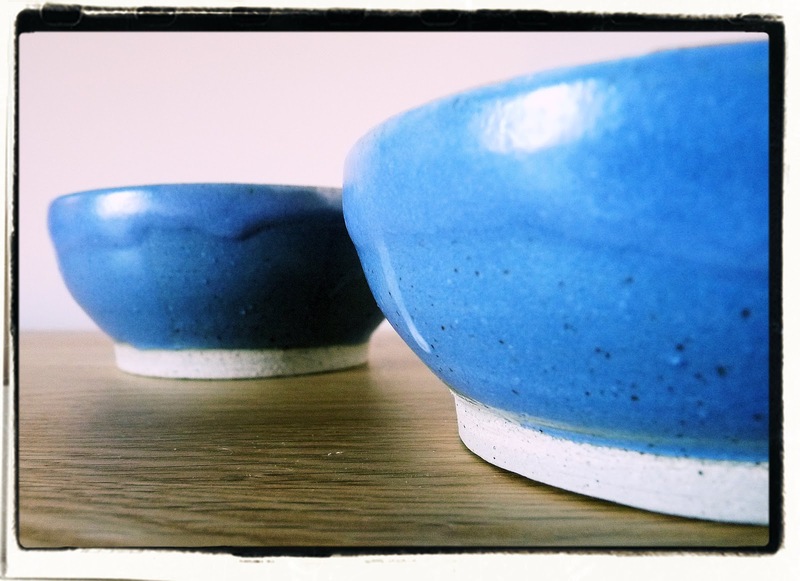 A few pieces have been reserved for presents (confidence-crisis still looming on this one, especially as it’s all rather ‘amateur’ but I hope the chosen recepients will appreciate my efforts! 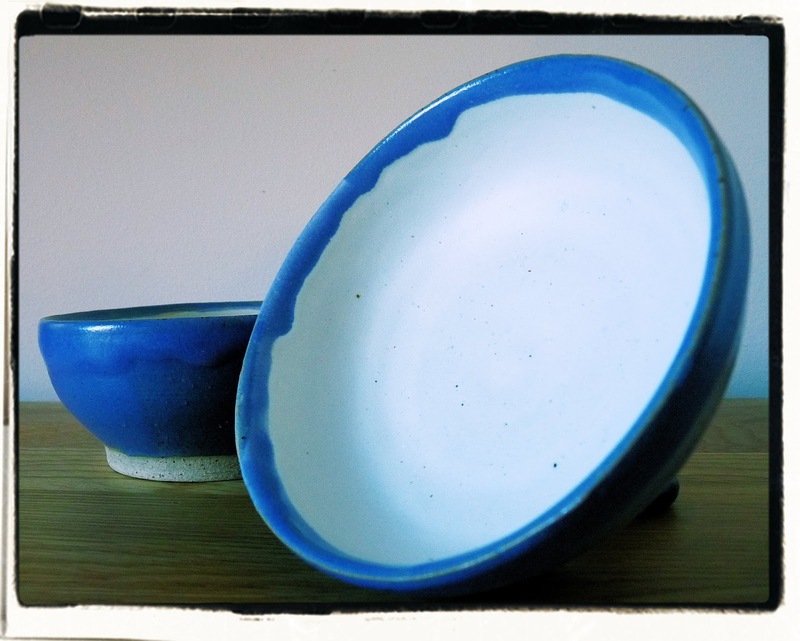 ), but these bits have been piled into our cupboards for general use…tapas bowls/olive dishes etc. 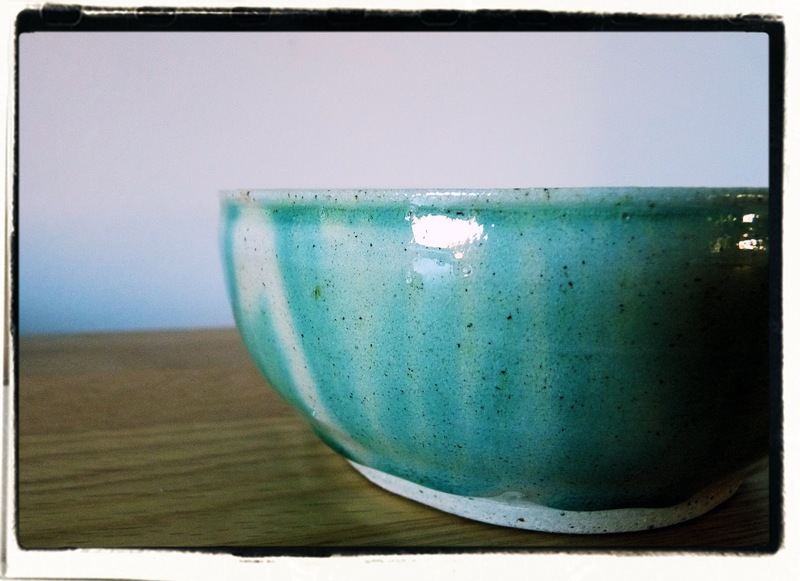 Next term I really must move away from making bowls..I’ve become stuck in a ‘general purpose bowl’ -obsessed rut! …and finally, I have at last, got round to setting up my ‘Pinterest’ boards (sort of an on-line scrap book for anyone who isn’t familiar with it). I’ve dallied with Pinterest a few times but never really embraced it. I’m a bit old-fashioned when it comes to technology (just ask J! ): I’d rather write a letter than an email, I love postcards, I still quite like having music CDs rather than downloading it..and I certainly prefer actual proper books or magazines over online/kindle editions…..so the thought of cataloguing pictures/photos/favourite things on a web page rather than in a scrap book or folder with handwritten scrawly notes didn’t really sit comfortably with me, but I have had a proper play around with it and I do have to admit that it is really rather quite good. 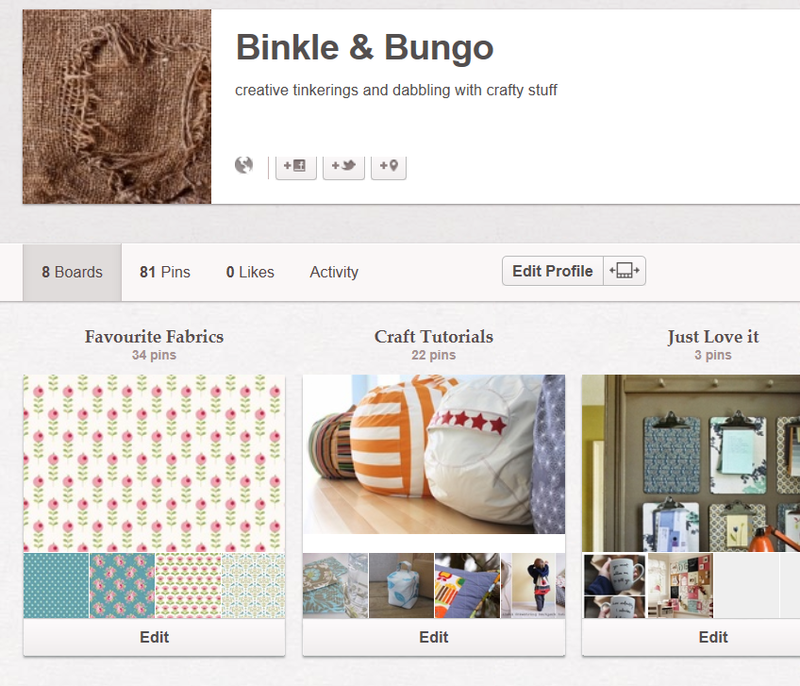 I shall be developing my Pinterest site in January and work out how it might fit in with this blog and my facebook page. So, that’s it for now. Lots and lots to come in the new year, so do check back in again in January. 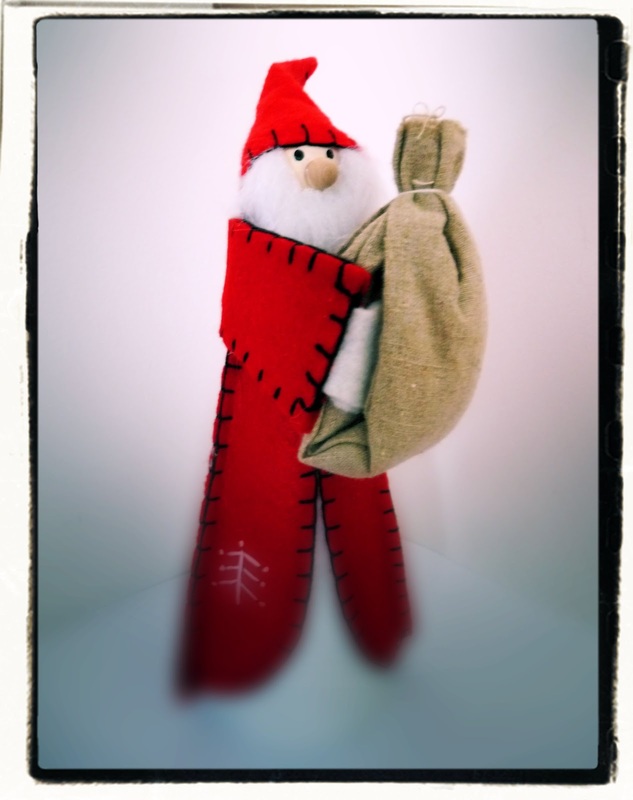 Until then, have a VERY MERRY CHRISTMAS & thank you again for your interest and support this year.